Pep saluted Manchester City's never-say-die spirit as the champions knocked Liverpool off the top of the table with a win against Everton. 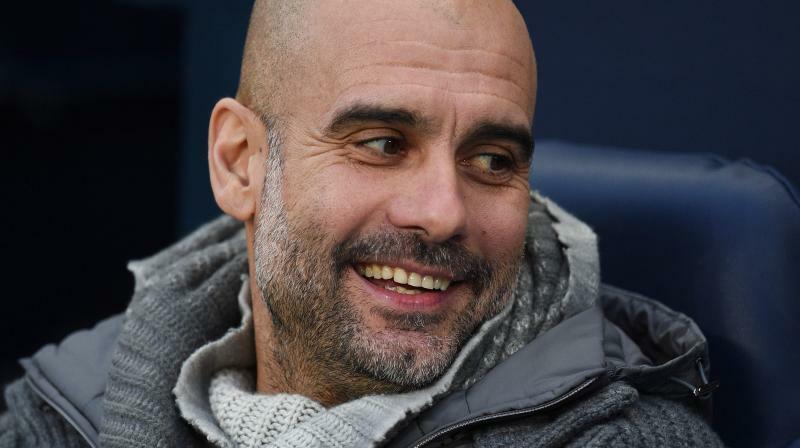 Liverpool: Pep Guardiola saluted Manchester City's never-say-die spirit as the champions knocked Liverpool off the top of the Premier League with a 2-0 win against Everton on Wednesday. Guardiola's side were in danger of being blown away by Liverpool in the title race after a damaging defeat at Newcastle last week. And boss Guardiola insisted City's return to the summit was a tribute to his players' refusal to accept they were out of the hunt. "Goodison Park, 2-0, we have to be happy. In terms of consistency, we didn't concede one shot on target. To score in the last minute of the first half helped us a lot," Guardiola said. "We are not the tallest team in the world so we don't expect to score from set-pieces, but (assistant coach) Mikel Arteta works a lot on them. I am so satisfied." "We have a game every three days for three months. I don't know how far we will get, maybe we will die in the road, but we are trying," Guardiola said. "We have played one more game than Liverpool. It's good to be top but Liverpool has a game at Old Trafford. "I don't think too much about that but four or five days ago we could have been seven points behind, it is a lesson to never give up. "We have an incredible test on Sunday against Chelsea."